The perfect size to keep in the freezer. 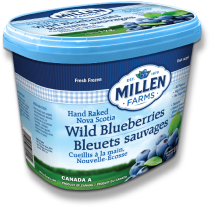 Convenient and ready to use whenever your recipes call for fresh blueberries. Click here to find out where you can buy this product. 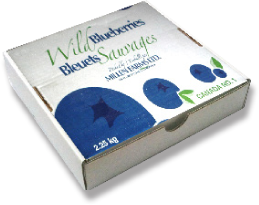 If you’re wild about hand raked blueberries, our larger sized fresh-frozen box is just right for you. Click here to find out where you can buy this product. 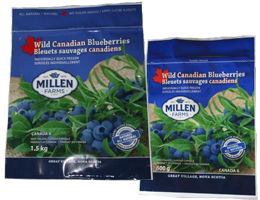 Frozen fresh wild blueberries packaged in two convenient sizes. Click here to find out where you can buy this product.